Charlotte is our newest recruit and is the main point of contact when calling, emailing or popping in to the office. Always super friendly and helpful, she will take enquiries with a cheerful voice on the phone or a smile in person. Her main duties include scheduling viewings, general administration and organising landlords gas safety checks. 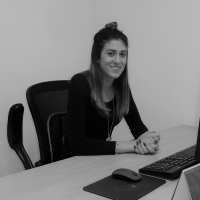 Charlotte is an apprentice and new to the Lettings industry. Eager to learn and getting involved with all aspects of the role. Having recently passed her driving test, Charlotte is now carrying out inventories and check in appointments – adding another string to her bow.